Once the Second Intifada began in late 2000, David Dabscheck decided he wanted to live and study in Israel. “Rather than watch what was happening on TV, I felt I had to be there myself,” he said. As a result, in 2001, he started an M.A. 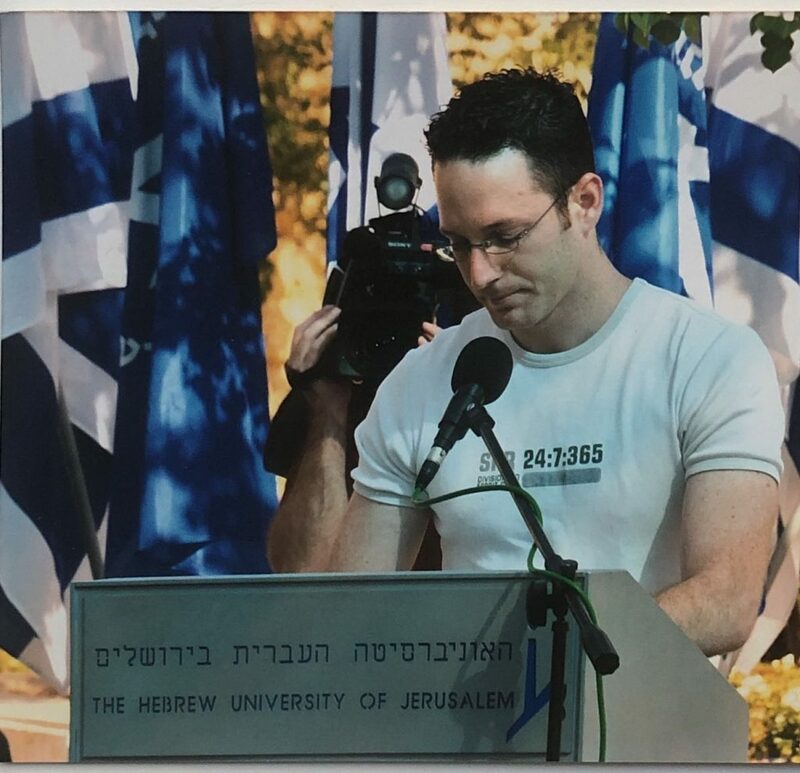 program in political science and sociology at the Hebrew University of Jerusalem (HU), from which he graduated in 2003. “It was an amazing experience: I studied the region’s history with leading scholars while simultaneously being part of history as it was being written,” David said. Studying in Israel during this trying period had a lasting impact on David. On July 31, 2002, there was a bombing at the university’s Frank Sinatra cafeteria on the Mount Scopus campus. “The perpetrators wanted to strike at everything the university symbolized, as they knew it represented many of the best things in Israel—from its diversity to its open spirit of learning,” he said. David spoke at HU’s remembrance ceremony in honor of the victims who were injured and murdered, which included many of his friends and classmates. In 2014, David founded GIANT Innovation, which helps large organizations scale the toolset, skillset, and mindset of innovation. “We specialize in helping traditional companies transform their employees—whatever their role in the organization—into creative and collaborative problem-solvers.” GIANT has worked with leading global organizations from a wide range of industries, including ExxonMobil, Fidelity Investments, Columbia University, Pfizer, the Merck Group, and The World Bank. 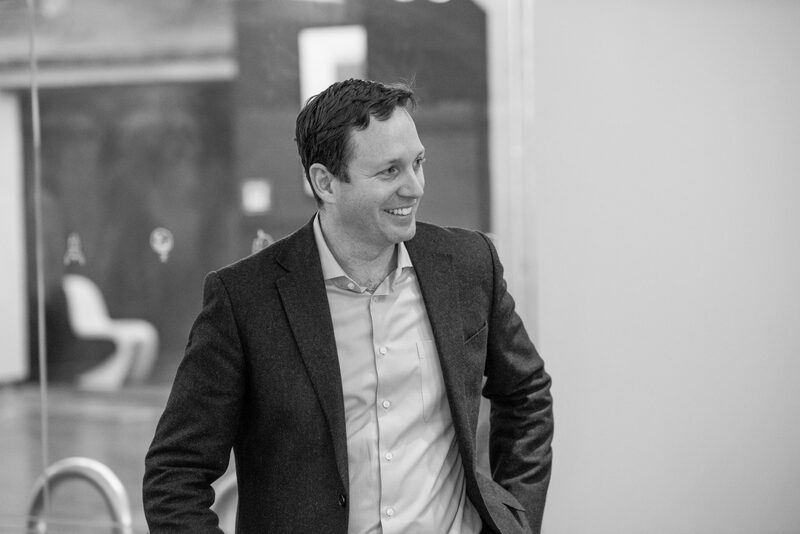 David is a well-regarded thought leader in corporate innovation and his work has appeared in publications such as Fast Company, the Boston Globe, the Observer, and the Stanford Social Innovation Review. David also has served as a Visiting Scholar at Columbia Business School, an adjunct professor at Columbia University’s School of International and Public Affairs, and an adjunct instructor for the National Science Foundation’s Innovation-Corps program. He is a board member for several Israeli and New York technology companies and the founder of the Innovation Leaders Roundtable, a New York City-based gathering of over 200 executive and senior-level innovation practitioners. 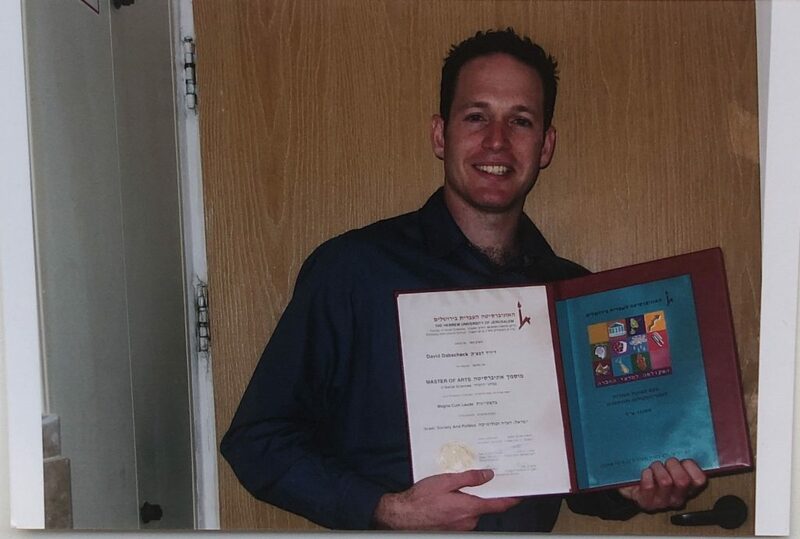 David is committed to volunteerism and supporting Hebrew University and other nonprofits. He served on the American Friends of the Hebrew University’s NEXUS:ISRAEL Innovation Conference Advisory Board in 2017. He also founded the nonprofit Community Security Service (CSS), which helps Jewish communities throughout the United States with their security and safety.